IT Companies Placement Papers 2019 – 2020: Nowadays demands for job is rapidly growing and markets is becoming volatile in terms of number of jobs hence it is of core importance that whenever you get a chance to get a job interview you should not miss the opportunity at any cost. you should strive for 100% performance in written and interview rounds, both. Hence, in this article we are enlisting placement papers of all the Major IT companies serving in India and abroad. These are previous year compilation from 2016,2017 and 2018 batch. below links are of different article which are having pdf files, You can Download placement paper pdf from below link. This article is being updated on a regular basis and in-case you need some other company placement paper which is not updated here then please comment below. You can comment if any questions on IT Companies Placement Papers 2019. Experts Advice: Guys, you might be working hard and still not getting success then we suggest you to try one of these leading tests like, amcat, freshersworld, elitmus etc. These tests will open door for many recruitments for you. 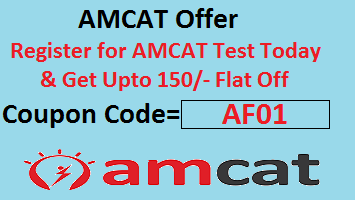 If you want some discount while purchasing these test then you can apply below coupons.